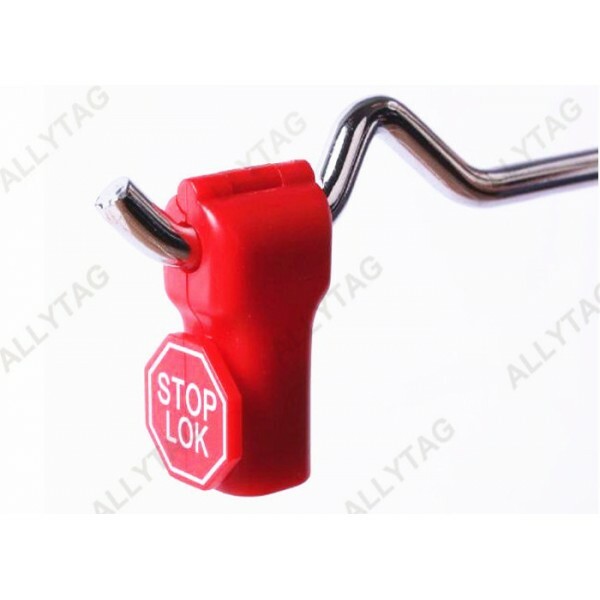 The display stop lock is applied to display merchandise in supermarkets, chain shops, retail stores, gifts stores and digital shops, etc. 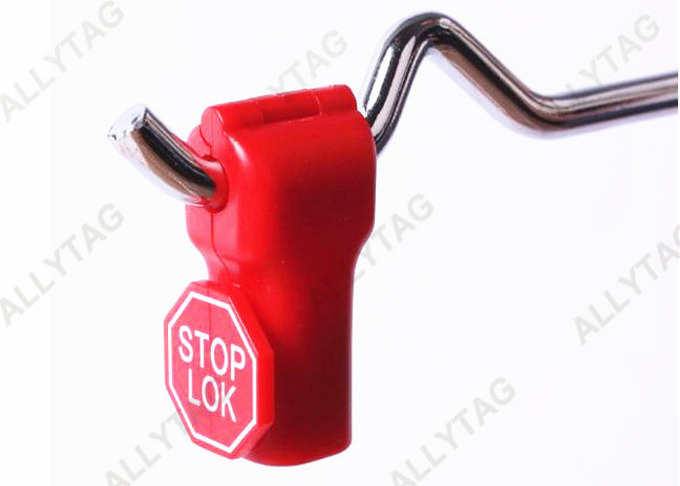 The stop lock not only has perfect display effect, but also avoids shoplifting and damages. 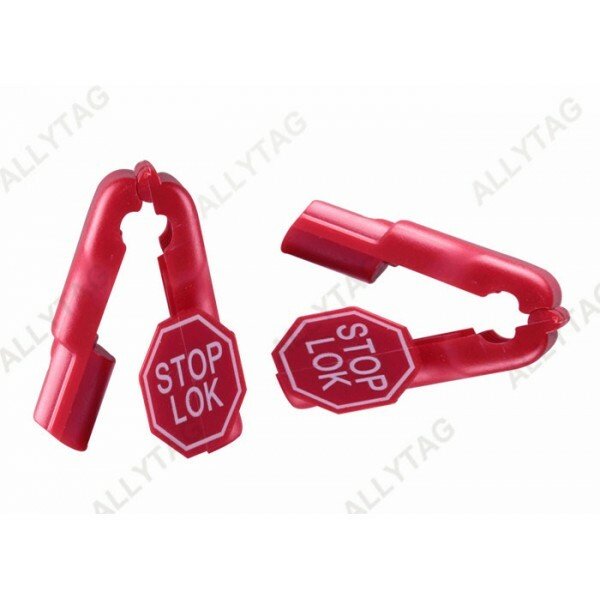 Selling merchandise on display is more safe with the security stop lock on. 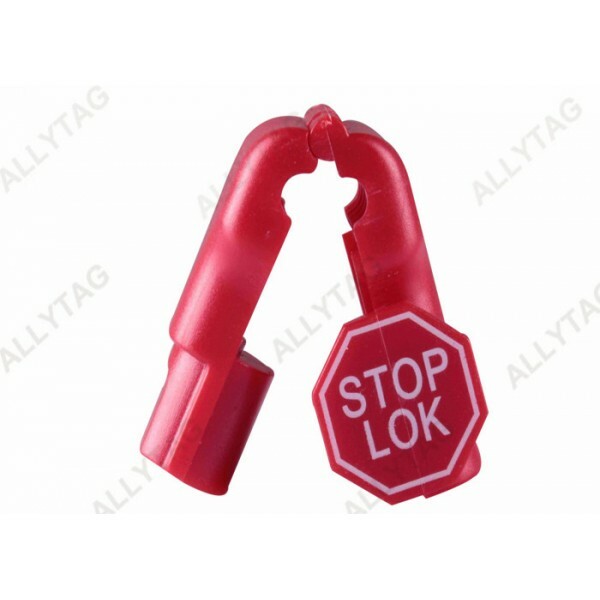 The stop lock is normally applied on security display hooks.The stop lock has at least 5 lock hole diameters which can perfectly fit for different kinds of display hook for supermarket and retail stores. 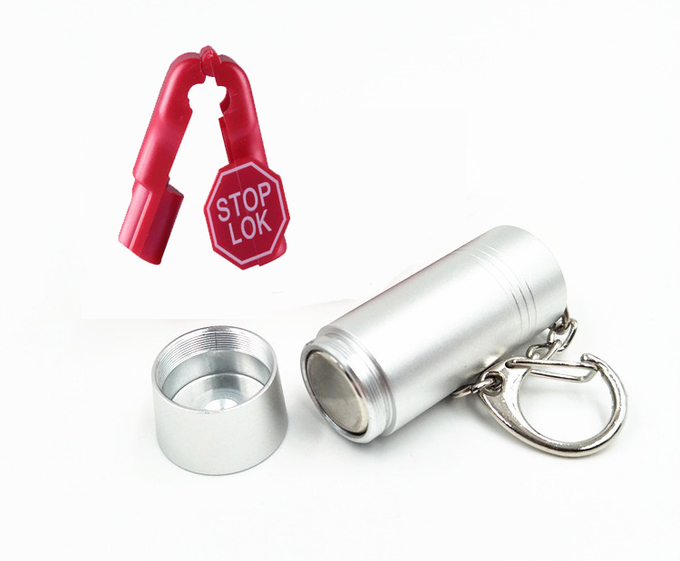 It is very easy and convenient unlock magnetic key detacher to release the stop lock by taking at hand instead of installating at the counter desk of POS.